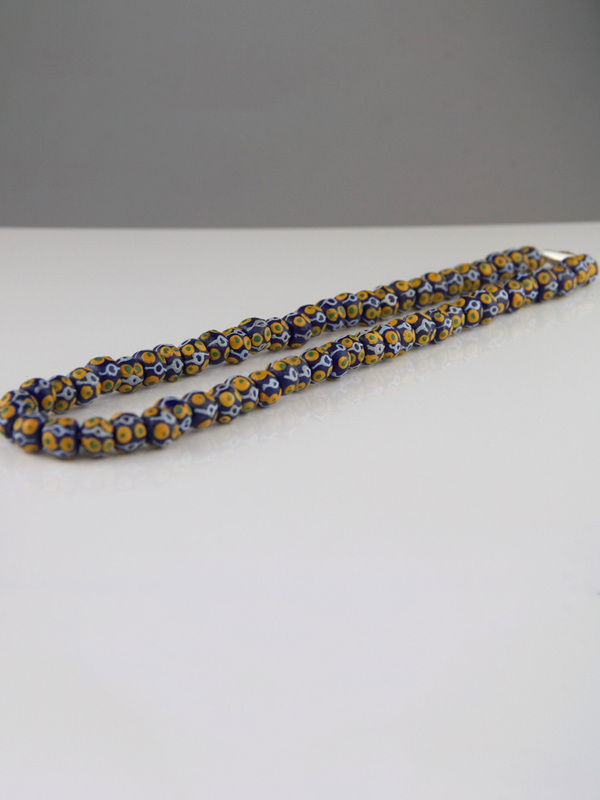 Amazing large glass bead necklace. 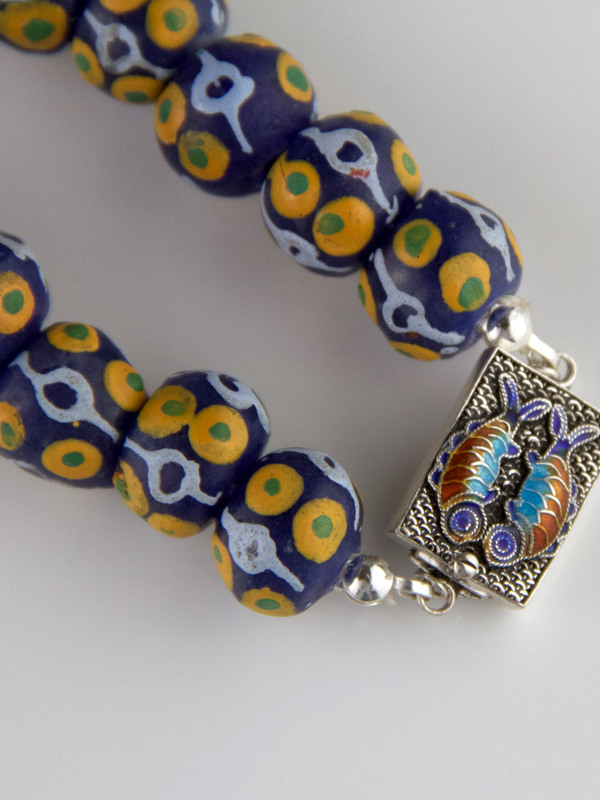 Handcrafted deep blue beads with fantastic white, yellow and green hand painted dot pattern and a sterling silver and enamel box clasp with two little fish. 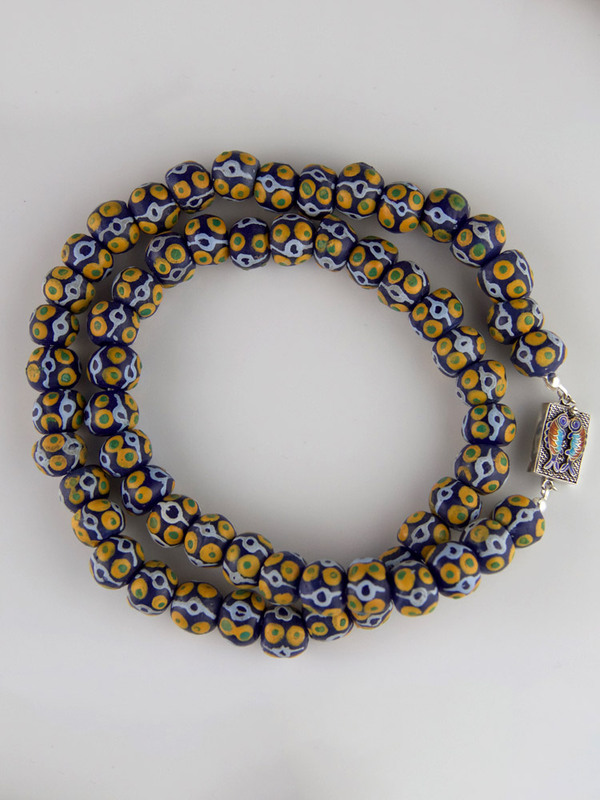 This is a large, bright and fun bead necklace with sterling silver quality fittings. New. 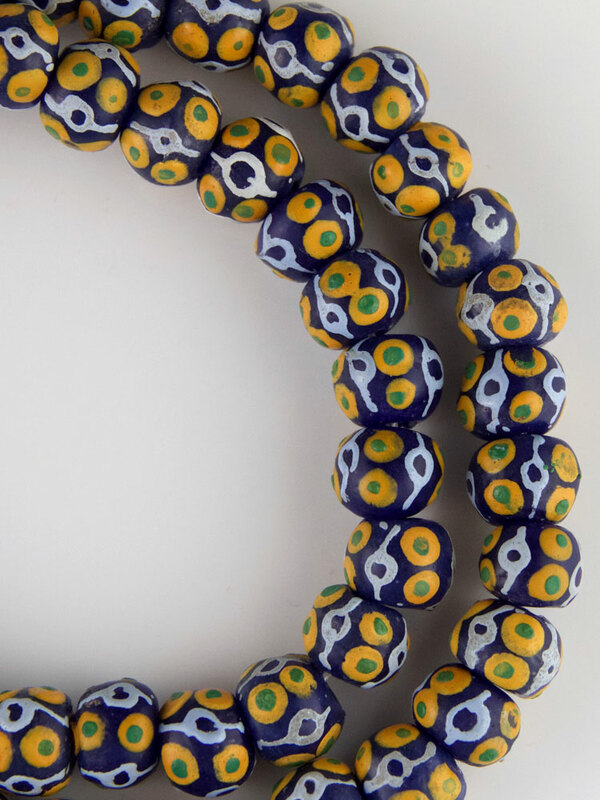 Beads were made in the last decade from recycled glass and the necklace itself is newly strung. 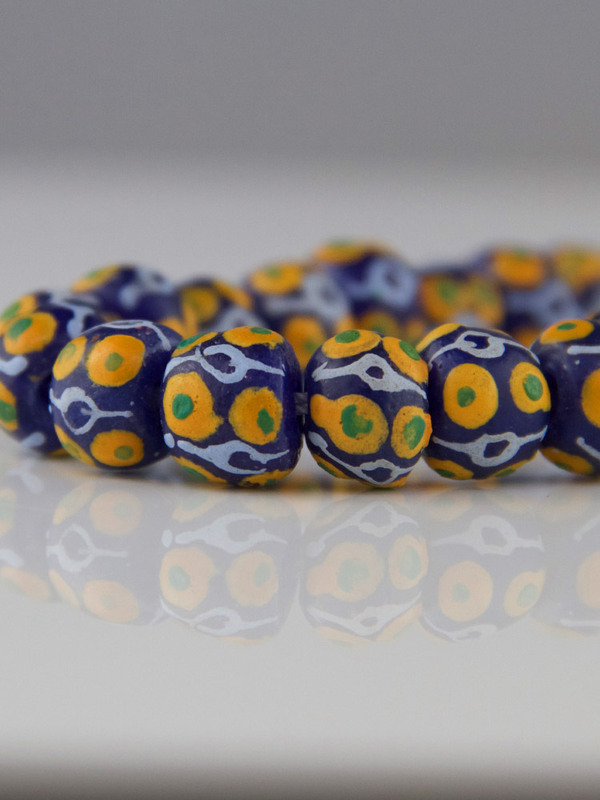 Please note the beads have a handcrafted look, they are not uniform - bead each is slightly different.